To walk the halls at the Consumer Electronics Show in Las Vegas, Nevada, is to be bombarded by the most cloying vision of the future. Robots that dance in sequence! Segway-inspired suitcases that walk behind harried travelers! Virtual reality goggles that show tiny, imaginary battles over geodoes! Amidst the audiovisual assault of the show floor, there was a trend in consumer robotics that I think is worth following: Underwater robots are here, and plentiful, and will likely only get better and cheaper in the years to come. Some of the advancements in underwater robotics will be custom-built for military clients, like the Boeing Echo Seeker. Other sea robots will likely have dual-use bodies, like whatever underwater scout comes from the early tests of the MantaDroid that I wrote about in a prior piece. Consider, for a moment, the PowerDolphin. Made by China’s PowerVision, the PowerDolphin is one of a series of marine and aerial drones (all helpfully with “Power-” in the name). The PowerDolphin has a top speed of about 11 mph and a wide-angle camera that can record both above and below the surface of the water, and can tow small objects behind it, like a box of bait or a life preserver. It can also travel by waypoint navigation and plot what it sees beneath the sea, creating a map for the user. The PowerDolphin has up to two hours of battery life and can operate at up to a kilometer from its controller. The related PowerRay retails for less than $2,000; we can likely expect the PowerDolphin to offer all its capabilities for about a few thousand dollars more. That reach, towing power and video capability is not a lot compared to professional military machines, but it’s a lot of extra awareness to put in the hands of a few guys in a small boat. There’s also the cartoonishly proportioned BIKI, a fish-shaped underwater robot that can swim for up to two hours at depths of almost 200 feet. When on the surface, it can navigate by GPS, though that’s harder under water. 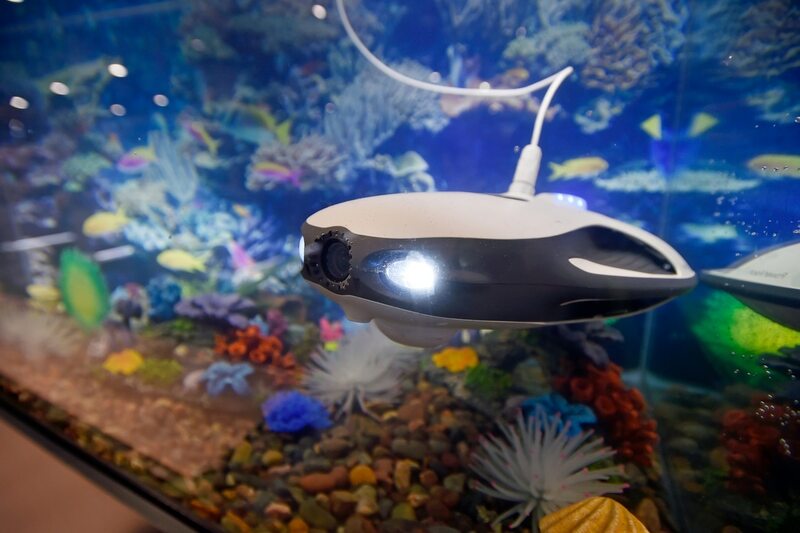 To communicate without a tether, BIKI maker RoboSea claims the robot sends ultrasonic frequencies through the water, all while keeping the robot below 55 decibels during normal operation. And it can send video in real time, without a tether, providing a cheap glimpse of whatever underwater feature it chooses to spy ― be it a gentle reef or the hull of a docked ship. Full retail price of the robot is expected to be just over $1,000, again putting a mobile underwater camera in reach of almost any organization. These two underwater robots are the tip of the proverbial iceberg. Joining their ranks were the Whiteshark MINI and Whiteshark AX, which are also small, tethered platforms that can film beneath the sea. There’s the tethered Robotix SeaDragon, which can film 1080p high-definition video for up to six hours. Also tethered and on display at CES was the Poseidon I underwater drone camera by Geneinno, with roughly similar capabilities as the rest of the lot. And these were the handful of underwater drones I managed to grab brochures for while walking the convention floor. Like the commercial aerial drone evolution before it, the world of sea drones means cheap, capable vehicles that are likely good enough for most purposes, from recreational photography to more surreptitious, casual surveillance and scouting. 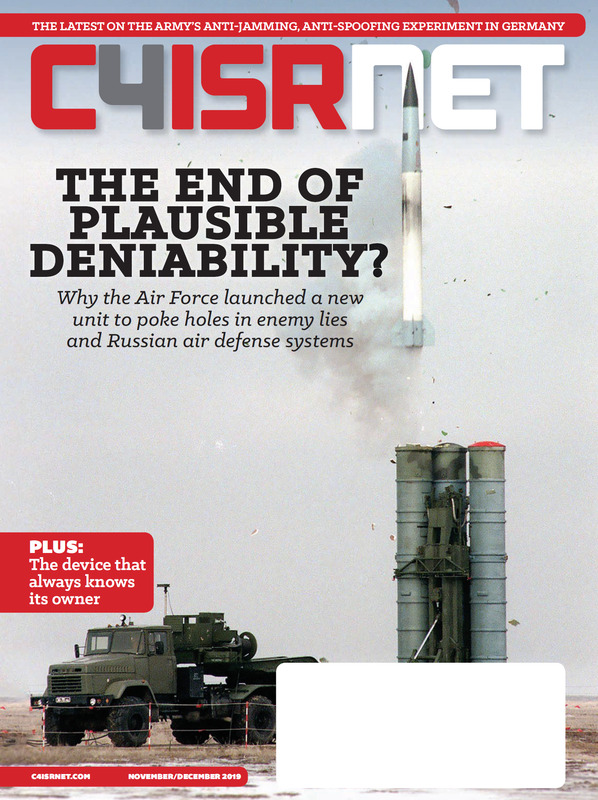 So what might this have to do with military tech? Maybe very little. It remains to be seen how nonstate actors will incorporate robots like this into their operations. But the low cost means that if there is a nefarious purpose for underwater cameras, it won’t be that hard for someone to figure it out.